Dr. Todd Erickson received his Doctorate of Optometry from the Illinois College of Optometry. He also holds a Bachelors of Science and Visual Science from Illinois College of Optometry and a Bachelors in Psychology from Florida State University. 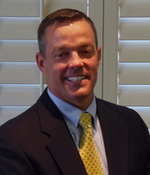 Dr. Todd enjoys sport fishing, surfing, water skiing, and golf. He has three daughters: Cayley, Nicole, and Shannon. His wife, Deon, is also an optometrist. He is board certified and licensed to prescribe eye medications. He is an active member of the American Optometric Association and the Palm Beach County Optometric Society. He performs preliminary and postoperative care for cataract and refractive laser surgery, and keratoconus contact lens fitting.